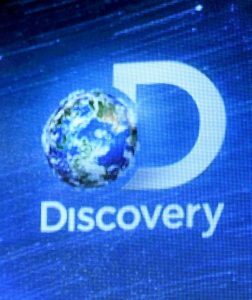 Discovery Communications is behind popular cable channels including TLC and Animal Planet, along with its namesake channel. The company’s international business includes European broadcasting rights for all four Olympic Games between 2018 and 2024. Its annual revenue has nearly doubled since it went public in 2008. In 2016, the company reported a profit of $1.03 billion on $6.4 billion in annual revenue. The company currently has a market capitalization of about $7.4 billion. Discovery is in the process of buying Scripps Networks Interactives in an $11.9 billion deal. Scripps is the owner of HGTV, Food Network and the Travel Channel. The deal is expected to be finalized in the coming months. Founded in 1982 by John Hendricks, Discovery Communications is one of Montgomery County’s largest employers. The company currently employs about 1,300 people in Silver Spring. Discovery said decisions on individual job status and relocation will be made after the closure of the Scripps acquisition. County and state officials reportedly offered Discovery financial incentives to stay. Montgomery County Executive Ike Leggett said, “The county and state made a substantial proposal designed to accommodate Discovery’s challenges. Together, we were ready to provide considerable incentives to retain their presence in the county.” Some of those incentives required the retention of 1,200 employees at the Silver Spring site.